What's Behind K2 Synthetic Marijuana Overdoses Contaminated synthetic cannabinoids have been associated with major overdoses around the country. They are cheap and inconspicuous, making it hard for law enforcement and medical officials to track. Last month, more than 300 people overdosed on tainted synthetic marijuana in Washington, D.C. in a two-week period. Overdoes associated with the drug known as K2 have occurred in neighborhoods across the district including H Street. After consuming what is suspected to be tainted synthetic marijuana, known as K2, more than 70 people overdosed Wednesday in New Haven, Conn. Last month, more than 300 people similarly overdosed in Washington, D.C. in a two-week period. The reported overdoses are offering a glimpse into a wrenching national problem. The Centers for Disease Control and Prevention says it is tracking multiple outbreaks across the country associated with synthetic cannabinoids use and The Food and Drug Administration recently warned of "severe illnesses and deaths" that have resulted from the use of contaminated synthetic marijuana products in recent months in several states. Synthetics are a collection of man-made psychoactive chemicals that are sprayed on plant material. They are sold under several catchy brand names such as K2, Spice, AK-47, Mr. Happy, Scooby Snax, Kush and Kronic, according to the CDC. They come in shiny packages with bright logos – they could easily be mistaken for party favors. They are often made from a combination of legal components — but those combinations are proving deadly and are creating big challenges for the first responders, health workers and law enforcement. The CDC received its first reports of sales of synthetic marijuana in 2004, and the department says use of the products has increased over the past several years in spite of increased legislation. 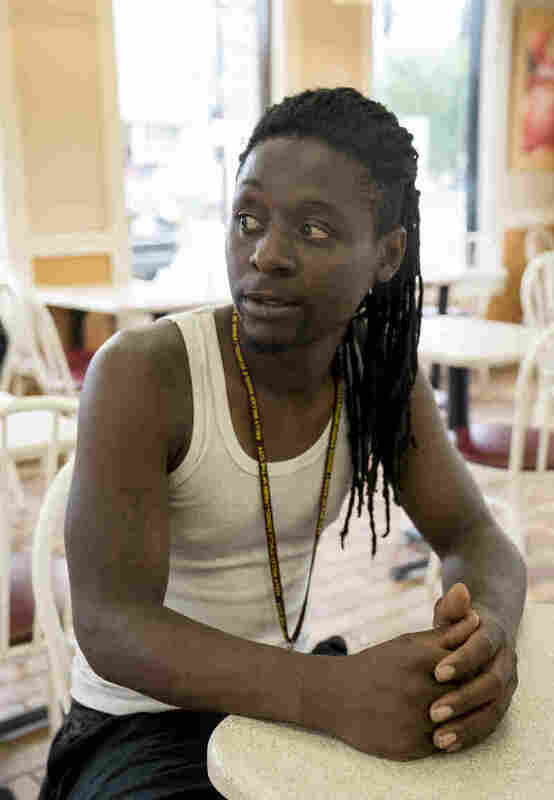 As a food delivery driver who zig-zags through Washington, D.C., David Barnett, 32, says he has seen that "overdoses are happening everywhere," — even in some of the more prosperous neighborhoods in the city. "I've seen people overdosing in Adams Morgan, Columbia Heights, the H Street corridor," he says. And recently he says he "saw paramedics helping a woman outside of Union Station." "It's not just near homeless shelters," echoes Douglas Buchanan, spokesperson for the D.C. Fire and EMS Department. Barnett says K2 has become popular because it's cheap and inconspicuous. K2 is now ubiquitous in the city, he says. "It's sold at gas stations, corner stores and tobacco shops" on the internet and on the streets, says Barnett. "I see the empty wrappers everywhere" he says. 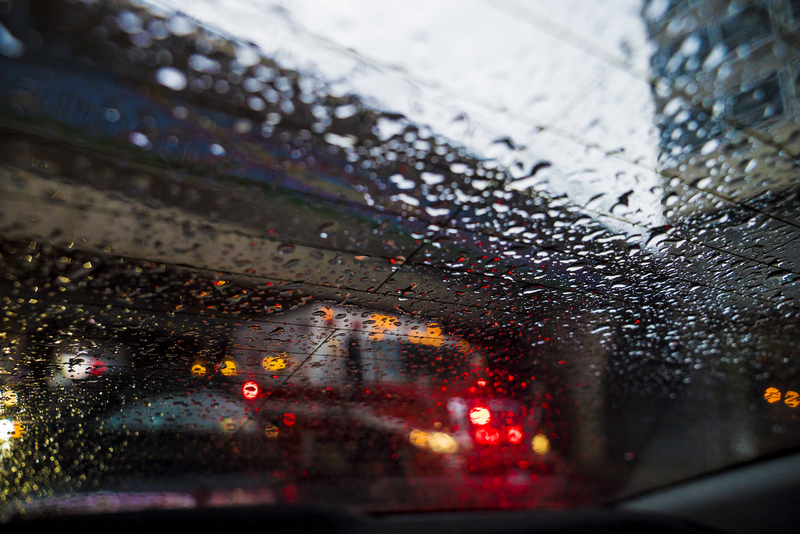 "I've seen people overdosing in Adams Morgan, Columbia Heights, the H Street corridor," said David Barnett, a food delivery driver. On a recent muggy summer day in Washington, D.C., Barnett wore a white sleeveless tank-top on his lunch break at a burger joint in the Northeast section of the city. This week the manager at that restaurant called paramedics after a customer started vomiting and passed out, typical signs of an overdose of K2. 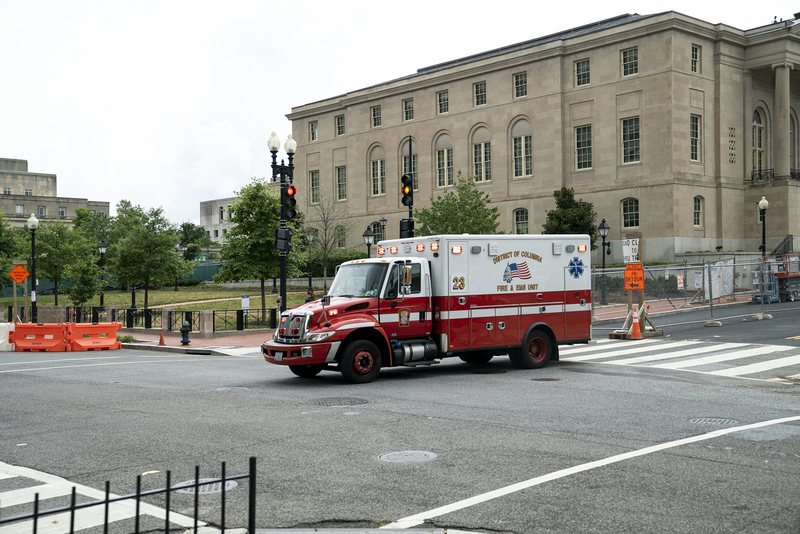 When D.C. Fire and EMS responders get a phone call for help, Buchanan says, they often see multiple patients at each location. "They are lethargic, vomiting, often unconscious and just out of it," he says. Since July 14 this year his department has received 463 calls for suspected K2 overdoses. In that 12-day span, 340 patients were transported to area hospitals with symptoms of K2 ingestion, according to Buchanan. Some people have also died over that time period in Washington, D.C. — while their specific causes of death have not been confirmed, the Office of the Chief Medical Examiner "heavily suspects" they are related to K2 overdose. OCME's spokesperson says "there are deaths that are being investigated to determine if they are linked to the recent spike in K2 usage." Because toxicology takes some time, the official results are pending. An ambulance at the scene of an overdose at Fourth and E streets Northwest Washington, D.C. Overdose and death from K2 isn't new in Washington, D.C., although officials say its recent outbreak seems more deadly. D.C. Fire and EMS says it transported 105 patients with suspected K2 overdoses to area hospitals in all of July last year and 597 patients in July 2016. According to the CDC, synthetic cannabinoids are not the same as natural marijuana. But, the agents "are designed to stimulate the receptors in the brain that are also targeted by marijuana," says Tegan Boehmer, a senior research scientist at CDC's National Center for Environmental Health in Atlanta. In this photo illustration, packets of K2 or "spice", a synthetic marijuana drug, are seen in East Harlem on August 5, 2015 in New York City. 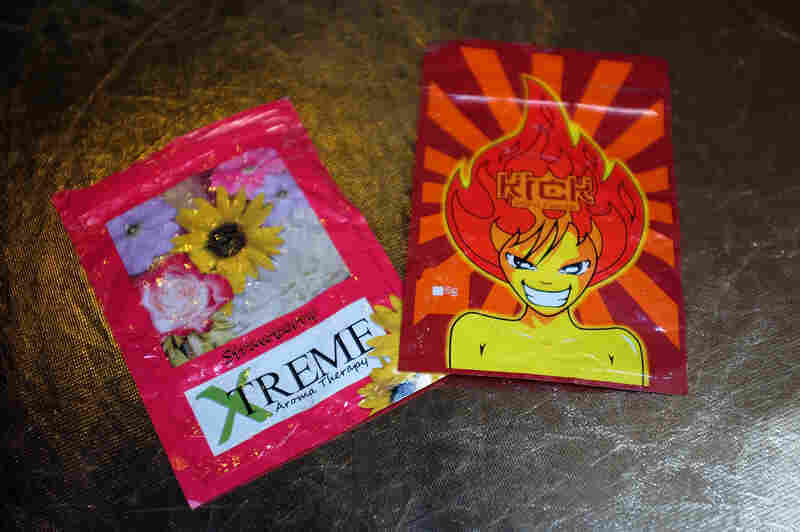 Boehmer says that since July 13, 2018, state health departments across the country have reported 255 cases, including eight deaths associated with synthetic cannabinoids that contain brodifacoum, an ingredient used in rat poison. "The contents of synthetic cannabinoid products can be unpredictable" says Boehmer. "The concentration of the active ingredient(s) can vary significantly between batches or even within the same batch," making the drugs very dangerous. Since March, Illinois, Wisconsin, and Maryland have reported the most cases. The CDC data don't include recent cases in Washington, D.C.
Often chemicals involved in a particular batch of synthetic cannabinoids are not banned, says Dr. Jenifer Smith. She's the director of the Department of Forensic Sciences in Washington, D.C. Even though the components are legal, she says, synthetic cannabinoids are dangerous, she says, "not just because of the chemicals [individually], but because of the mixture of chemicals." Dr. Jenifer Smith, director of the Department of Forensic Sciences in Washington, D.C. Her department has a new lab where testing of controlled substances is done. That's one of the reasons that synthetic cannabinoids pose a cat-and-mouse scenario for law enforcement. Once a substance becomes illegal, the producers of synthetic cannabinoids switch the banned substance to a legal chemical. Dr. Smith has been at the helm of the Department of Forensic Sciences since July 2015. For 23 years she was a special agent at the Federal Bureau of Investigations (FBI) – she has an easygoing manner, but is determined to drill down the message to her city that synthetic cannabinoids are dangerous. 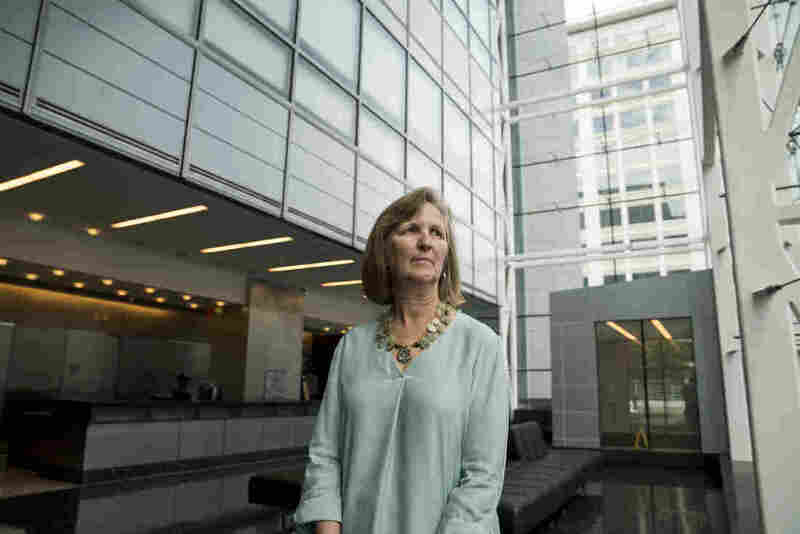 "When you go to a pharmacy you're buying a measured drug, it's regulated," she says. But with synthetic marijuana, "you have no idea what you're buying and it's not in any way controlled when it's made. It's very, very dangerous." 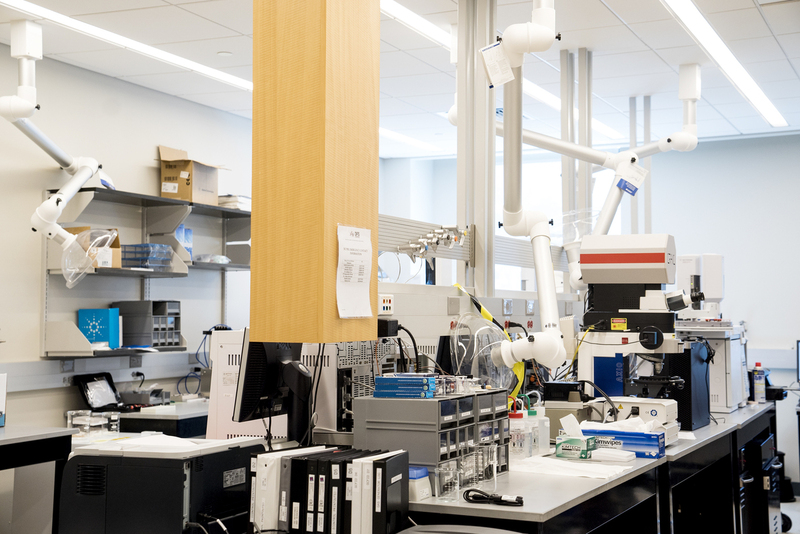 Dr. Smith's department in D.C. has a new lab, The Public Health Laboratory Division, where testing of controlled substances is done. "It makes a big difference" in collecting data and helping battle drugs in the city, she says, "we now have our own internal capabilities so we can do all these great testing methods." She says that "in the past any controlled substance collected in the District was tested by the DEA and only if the sample was going to be presented in court as evidence." So there would be delays or substances wouldn't be tested at all, "now we are able to test immediately and get results," getting answers to complex questions is very satisfying says Dr. Smith. The Public Health Lab's data is also shared with local labs in order to inform the toxicologists who are testing urine samples as a condition of parole. Sometimes there is a newer form of drug in a batch and it may not be "seen" or detected even though the urine tests are now designed to cover a broad range of "metabolites" of these drugs, according Dr. Smith. The Public Health Laboratory Division, where testing of controlled substances is done. For instance, in this recent uptick of overdoses in the district, Dr. Smith says two types of synthetic cannabinoids have been identified by her staff consistently, "one of them we had seen before, but we did find a new one that we believe is new to the District" though it's been known by DEA since at least 2014. Both chemicals are controlled substances, says Dr. Smith. Toxicologists at the Public Health Lab are able to identify and decipher what the original compound make up is, says Dr. Smith. But the challenge is if the compound is new, "how can you say that it is illegal even though it fits in this class of chemicals that are not healthy for somebody to take?" That's what law enforcement is up against, says Dr. Smith. For the last three years, the month of July has consistently seen the highest overdose spike in D.C. and Dr. Smith has a theory. "It may be somewhat related to the heat" she says that lack of hydration may increase the impact of the chemicals on the body, "people can exhibit different symptoms depending upon their predispositions to particular ailments" as well as "genetic susceptibilities that you may have if you're exposed to a chemical." "Another challenge with synthetic cannabinoids is that the effect is broader both because of individual pre-dispositions and the mix of chemicals in a particular batch — which can potentially change from batch to batch," said Smith. "The effect [that K2] has on me may actually be different from the effect it has on you." She says that for some, K2 may cause them to pass out and for other people the synthetic marijuana may just put them in an excited state. An ambulance responding to a call on Florida Avenue Northwest in Washington, D.C. The Drug Enforcement Administration says that large amounts of precursor raw material come from China, Mexico and India. But substances used to make synthetic cannabinoids are also procured here in the U.S. with some of the largest production clandestine labs based in Dallas, Miami and New York. David Barnett, the food distribution driver and native Washingtonian, smiles easily, but his facial muscles tense suddenly when talking about this recent outbreak. "It's sad" to see what's happening in D.C. right now, he says. And though illegal drugs — from marijuana to heroin to crack — have been part of city life, he says of K2: "This one is crazy." 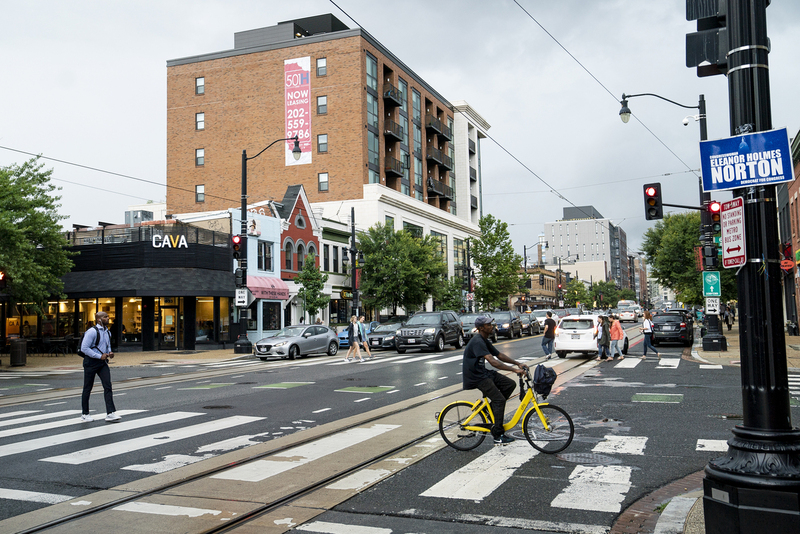 A previous caption on this story incorrectly identified an intersection as being in the NoMa neighborhood of Washington, D.C. It was actually a photo of Fourth and E streets Northwest.